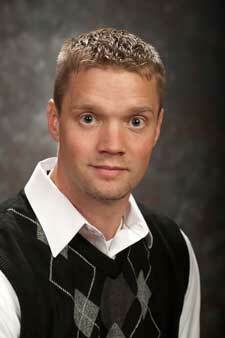 Travis Brown obtained his Ph.D. from Washington State University in 2008. His thesis work focused on how regulation of the extracellular matrix impacts learning and memory processes in pathological disease states. Upon completion of his Ph.D., Dr. Brown worked as a postdoctoral associate in Dr. Yan Dong’s laboratory studying the development of silent synapses following cocaine self-administration. In 2009, Dr. Brown joined Dr. Julie Kauer’s laboratory at Brown University in Providence, Rhode Island, where he studied synaptic plasticity and organized and taught a number of classes. He has currently authored or coauthored more than a dozen peer reviewed articles and has received numerous grants to fund his research goals. The main focus of the Brown laboratory is determining how exposure to drugs of abuse, traumatic events and painful stimuli ultimately impacts neuroplasticity. Specifically, I am interested in how regulation of the extracellular matrix mediates synaptic organization and eventually behavioral output. My research utilizes a multifaceted approach combining rodent behavior, electrophysiology and molecular techniques to address our questions with the hope that targeting molecules that influence the extracellular matrix may provide novel therapeutic treatments for pathological states such as addiction, chronic pain and post-traumatic stress disorder. 4. Huang YH, Lin Y, Mu P, Lee BR, Brown TE, Wayman G, Marie H, Liu W, Yan Z, Sorg BA, Schluter OM, Zukin RS, Dong Y (2009) In vivo cocaine experience generates silent synapses. Neuron. 63: 40-47. 5. Wright JW, Meighan PC, Brown TE, Wiedinger RV, Sorg BA, Harding JW (2009) Habituation-induced neural plasticity in the hippocampus and prefrontal cortex mediated by MMP-3. Behavioral Brain Research. 203: 27-34. 6. Brown TE, Lee BR, Sorg BA (2008) The NMDA antagonist MK-801 disrupts reconsolidation of cocaine-induced conditioned place preference but not self-administration of a cocaine-associated memory. Learning and Memory. 15: 857-865. 7. Brown TE, Wilson A, Cocking DL, Sorg BA (2008) Inhibition of matrix metalloproteinase activity disrupts reconsolidation but not consolidation of a fear memory. Neurobiology of Learning and Memory. 91: 66-72. 8. Brown TE, Forquer MR, Harding JW, Sorg BA (2008) Increase in matrix metalloproteinase-9 in the rat medial prefrontal cortex after cocaine reinstatement of conditioned place preference. Synapse. 62: 886-889. 9. Huang YH, Lin Y, Brown TE, Han M, Neve RZ, Zukin RS, Sorg BA, Nestler EJ, Malenka RC, Dong Y (2008) CREB modulates the active state of nucleus accumbens neurons. Journal of Biological Chemistry. 283: 2751-2760. 10. Olson ML, Meighan PC, Brown TE, Asay AL, Benoist CC, Harding JW, Wright JW (2007) Hippocampal MMP-3 elevation is associated with passive avoidance conditioning. Regulatory Peptides. 146: 19-25. 11. Kokje RJ, Wilson WL, Brown TE, Karamyan VT, Wright JW, Speth RC (2007) Central pressor actions of aminopeptidase-resistant angiotensin II analogs: challenging the angiotensin III hypothesis. Hypertension. 49: 1328-1335. 12. Brown TE, Forquer MR, Cocking DL, Jansen HT, Harding JW, Sorg BA (2007) Role of matrix metalloproteinases in acquisition and reconsolidation of cocaine-induced conditioned place preference. Learning and Memory. 14: 214-223. 13. Wright JW, Brown TE, Harding JW (2007) Inhibition of hippocampal matrix metalloproteinase-3 and -9 disrupts spatial memory. Neural Plasticity. 2007: 73813. 14. Bright SR, Brown TE, Varnum MD (2005) Disease-associated mutations in CNGB3 produce gain of function alterations in cone cyclic nucleotide-gated channels. Molecular Vision. 11: 1141-1150.